As we have mentioned, our purpose on this current trip to Israel is to visits sites we have not seen before, many of which would not be practical to visit with a tour group. We were successful again today in doing so. One place Ferrell Jenkins and I have seen previously many times is Hazor, but we included that city because recent visits have been either during or immediately following rain. Today it was dry and sunny. It was hot but it was nice not to have to walk in mud. Then Joshua turned back at that time, and captured Hazor and struck its king with the sword; for Hazor formerly was the head of all these kingdoms. Later during the days of the United Monarchy of Israel, King Solomon fortified this city. Now this is the account of the forced labor which King Solomon levied to build the house of the LORD, his own house, the Millo, the wall of Jerusalem, Hazor, Megiddo, and Gezer (1 Kings 9:15). 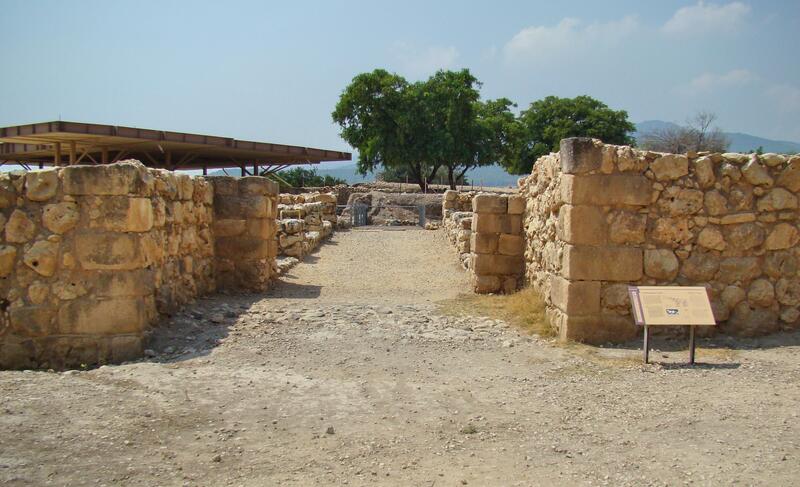 Solomonic City Gate at Hazor. Photo by Leon Mauldin. All of these cities of this text were fortress cities. Solomon used the same “blueprint” for the gates: the six chambered gate. Unfortunately, in the process of time, Hazor became a center of cultic worship. 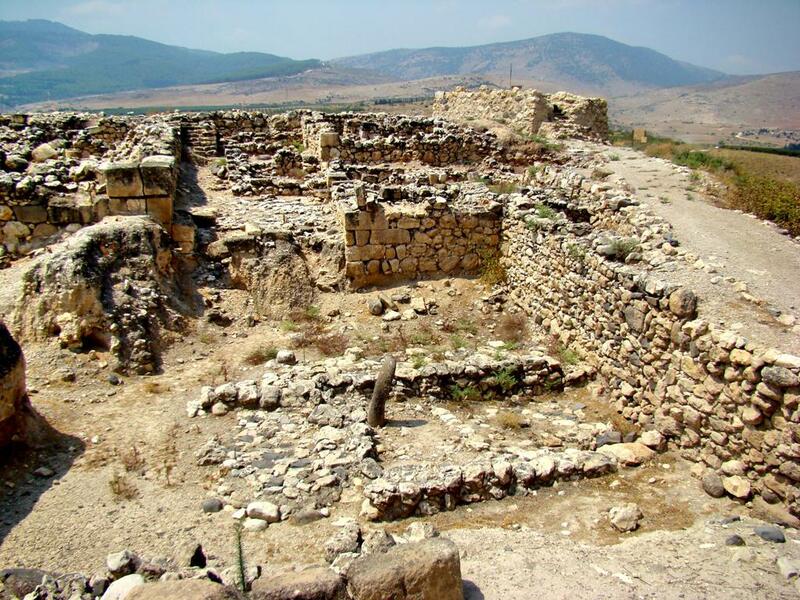 Our photo shows the “high place” of Hazor. High Place at Hazor. Sacrifice to pagan gods occurred here. Photo by Leon Mauldin. Our photo below further shows an area where pagan worship occurred. 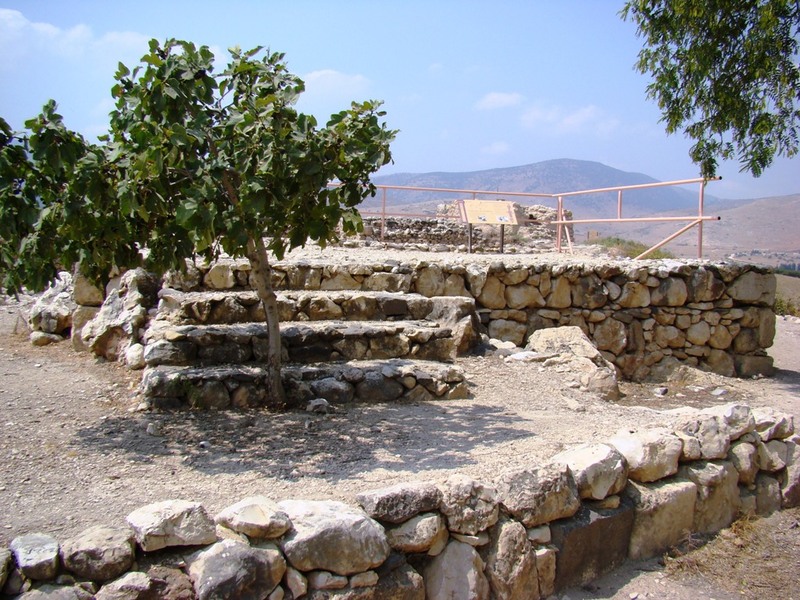 Site of pagan worship at Hazor. Photo by Leon Mauldin. The forbidden massebah (sacred pillar) can be seen in foreground of photo. On the right hand corner of the tel you can see what was the base of the watchtower of Hazor. On a personal note I regret to report the death of a close personal friend, Sandra Waldron, wife of Bob Waldron. She died Sun. PM as the result of a massive heart attack, following some months of illness. The Waldrons have had a tremendous impact on my life, and I mourn this loss. This entry was posted on Monday, September 5th, 2011 at 10:58 PM and is filed under Bible History and Geography, Bible Study, Israel, Old Testament. You can follow any responses to this entry through the RSS 2.0 feed. You can leave a response, or trackback from your own site.